Brian Grubb made once again a dream come true. 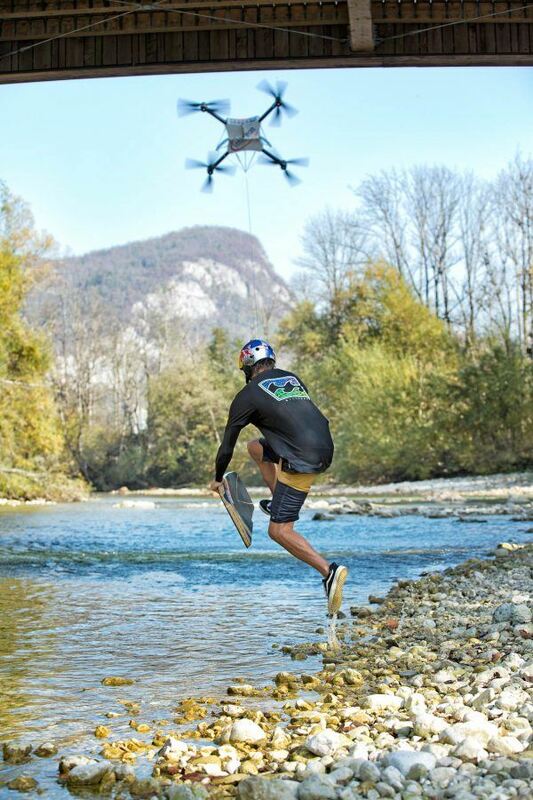 Towed by a drone, he wakeskated a alpine river in Slovenia. Mind blowing! When it comes to evolution of his sport, Brian Grubb is a true pioneer. In recent years the skillset of a Champion and the passion of an Explorer have taken the American to a number of truly unique locations all over the World. 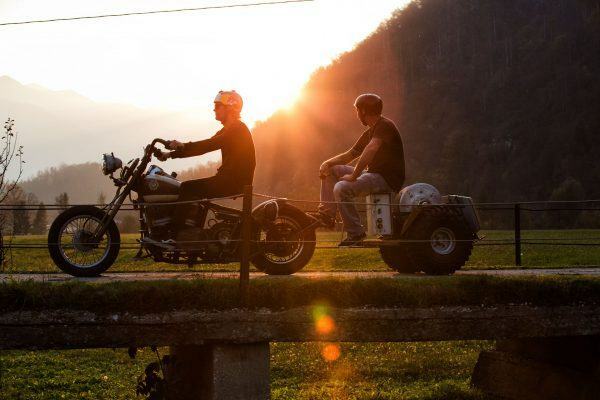 From frozen fields of Bosnia and Herzegovina to tropical rice terraces in the Philippines and breathtaking canyons deep in Jordanian desert — Brian has seen and ridden them all. While majority of his past endeavours pushed the sport of Wakeskating mostly in terms of never before ridden waters and tricks, it was during his latest project when Brian has broken new grounds by acquiring help of a Drone. Using an electric-powered quadcopter as his tow vehicle, Brian was able to take his sport to places, previously considered unrideable. The Wakeskate Champion chose to make his maiden Drone ride on Sava Bohinjka — a crystal clear Alpine River, flowing deep in the mountains of Slovenia. With Sava’s flow being way too curved to set up a winch, its water level way to shallow to use a boat and its environment way to pure for anything fossil-fuel powered, the river proved to be the perfect setting for exploring new dimensions of Wakeskating. ... and teamwork makes the dream work! It might not seem obvious at first glance, but Drone-powered Wakeskating is a true team sport. Before Brian could even try out his latest form of transportation, it had taken a group of engineers and pilots from Infineon months to perfect the Drone itself. Once the team was dialled Brian and the pilots were able to push the sports of Wakeskating and Drone Flying by riding/flying in ways never seen before. Brian succeeded in completing a winch-to-drone handle pass and the pilot might just became the first Drone operator who has successfully flown under a four-metre high bridge while towing a human being. Making no impact on the pristine environment has been an important concern to the team throughout the project. The region of Bohinj and its people are fully committed to protecting their nature by living as sustainably as possible and minimising any harmful human behaviour. Brian had taken the environmental matter in all its seriousness by making sure the team used an electric winch and an electric drone, leaving no footprints behind them. You can get to know Brian Grubb and read more about adventures on Redbull.com. 18.03.2019 • Videos • Web Edits • 1 min. 28.11.2018 • Videos • Web Edits • 5 min. 13.11.2018 • Videos • Web Edits • 1 min. 30.08.2018 • Videos • Web Edits • 3 min.